Cisco is collaborating with Microsoft to bring its virtual switch to Hyper-V next year when Windows Server 8 is released. For users of Cisco virtual switch technology, VMware has been the solution that Cisco made available. Unsurprising, given VMware’s relationship with Cisco and its prominent role in Cisco’s Unified Computing System converged infrastructure solution. But with the introduction of Windows Server 8, Cisco will be working with Microsoft to bring that same level of support and features to users of the Microsoft Hyper-V virtualization. Today, Hyper-V customers can use a virtual switch included with Microsoft’s hypervisor, and connect to Cisco physical switches and other Cisco products like the Unified Computing System. The new step of bringing Cisco virtual switch software to the hypervisor layer, however, will achieve greater visibility into virtual machines and better provisioning and management capabilities, Cisco says. Cisco’s Nexus 1000V virtual networking switch will be enhanced by extending the dynamic provisioning and management capabilities to Cisco’s NX-OS networking operating system to Microsoft Windows Server 8 Hyper-V’s virtualization technologies, said Prashant Gandhi, senior director of Cisco’s Server, Access, and Virtualization Technology Group. Along with the Cisco Nexus 1000V distributed virtual switch, Windows Server 2008 will also be integrated into the Cisco Virtual Machine Fabric Extender (VM-FEX) technology. This will give Microsoft/Cisco users better integration and support Microsoft’s SR-IOV capabilities for high performance VMs, better management of live networks and better detail for planning and deployment. Both Cisco and Microsoft virtualization management tools will be usable by customers integrating the two sets of technologies. Bringing Microsoft on par with VMware in the Cisco universe should bring business gains to both parties, with existing Microsoft shops being able to better integrate Cisco’s core networking infrastructure components and Cisco gaining Microsoft as a solid partner in the UCS single-source datacenter provider model. Instead of shoehorning the capabilities into Windows Server 2008 R2, Cisco and Microsoft are focusing on next year’s Windows Server 8 release. It wouldn’t be physically impossible to bring these tools into the current version of Windows Server, but it will be easier to do so in Windows Server 8, says Cisco director of product marketing Prashant Gandhi. Besides Windows Server 8 allowing greater integration with third-party tools, Cisco and Microsoft will be able to work together closely and troubleshoot problems as they arise. With a currently shipping product like Windows Server 2008, “it’s hard to go back and look for new integration points,” Gandhi said. What it brings to Cisco in this Team-up? This team-up is good for both Cisco and Microsoft, though it may put a little pressure on the former’s agreement with VMware, which also integrated its hypervisor with Cisco gear. Further, the EMC virtualization subsidiary also contributed a great deal to the Unified Computing System, so there are a few question marks floating around this latest bit of news. 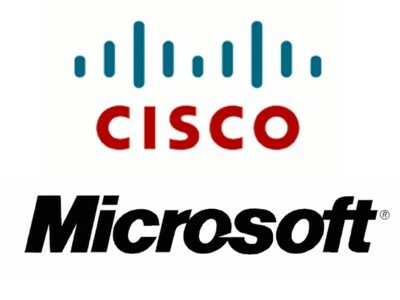 The team-up with Microsoft ties in with Cisco’s restructuring. While this also included the layoff of about 10 percent of the company’s total workforce and a number of other cost cutting measures, the networking giant hopes to get back on its feet by accelerating its growth strategy, and partnerships will play a major role in that. Just last week Andrew Sage, VP of worldwide Partner Led said it will invest a massive $75 million into its SMB partner program by the end of 2012. Cisco is following the same approach many other tech companies have been taking to expand.